In the first weekend of sales on April 7-8, phase 2 of Park Place Residences saw 149 units sold out of a remaining 219 units in the project. 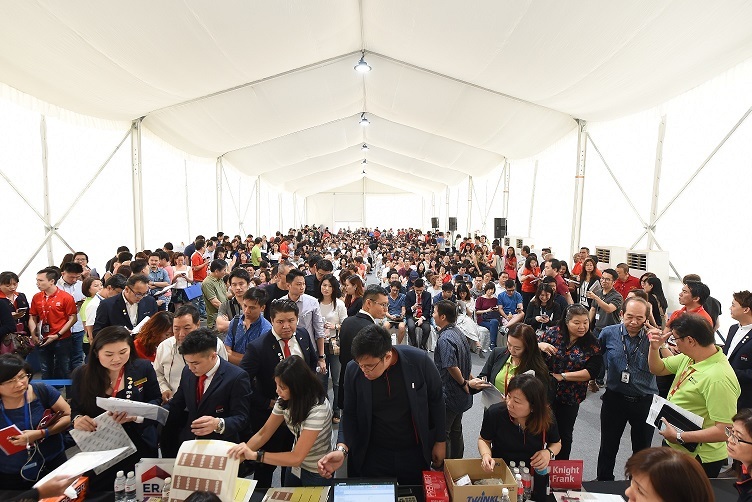 The majority of the units were sold on the first day via balloting. This brings total sales in the development to 359 out of 429 units or 84% to date. According to developer Lendlease, there are only 70 units still available for sale at Park Place Residences. There’s a range of one- to three-bedroom apartments, with sizes from 480 sq ft to 1,350 sq ft. Prices start from $900,000 to $2.2 million. The 429-unit Park Place Residences span three towers, and is part of the Paya Lebar Quarter integrated development by Lendlease, which includes close to 1 million sq ft of Grade-A office space, a mall with more than 200 shops, as well as anchor tenants such as Fairprice Finest supermarket, Kopitiam food court and Shaw Theatres. The development is also linked directly to the Paya Lebar MRT interchange station for the East-West and Circle Lines.